Has there been a moment when you tried to repair the broken pipe or cleaning the sewer on your own? Many may consider plumbing as quite a simple task; however, in reality, it is not so. It is not a big deal to repair a minor crack on the water pipe, but when it comes to replacing the entire pipe or cleaning the clog in the sewer; it is almost impossible without the required equipment, experience, and knowledge. Again, plumbing in the newly constructed buildings or while renovating the old buildings is not an easy task. Such a thing is almost impossible without the help of the professional plumbers. Moreover, repairing the water heaters or boilers and plumbing the washrooms, toilets, and kitchen etc call for expertise. However, as people in and around NJ do not need to spend their energy and time in plumbing. The plumbers in Clifton NJ can do the needful. What would be the cost of hiring the plumbers? Truly speaking, it is quite difficult to state the charges unless the amount and type of plumbing to be done is put forth. There are several plumbers in Clifton NJ and their prices may vary slightly. But that should not be a reason to worry. If you are worried about the charges, you can contact various plumbing companies in NJ and get free quotes from them. This will make give you a clear idea about which company’s services would prove to be suitable to your budget and requirements. Oftentimes, people are very much driven by the cost factors. Money matters and it is quite natural to choose the plumber Bloomfield on the basis of it. However, what you should always remember is that the quality aspects are not undermined. After all, the imperfect plumbing can increase your trouble and expenses in future. 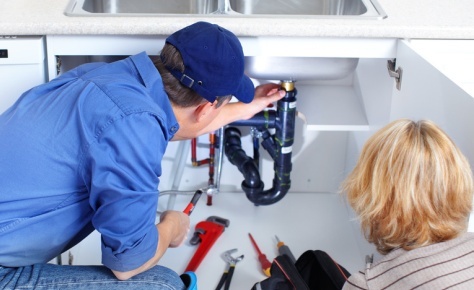 The plumbers for executing all sorts of plumbing works are available at NJ at quite reasonable prices; however, it is wise to consider the quality aspects of the plumbers instead of deciding just on the basis of the cost.